Two odd but interesting things have happened in an otherwise grim summer for movies. Wonder Woman, the summer’s biggest hit, gave women the comic book version of the hero they have wanted for so long. 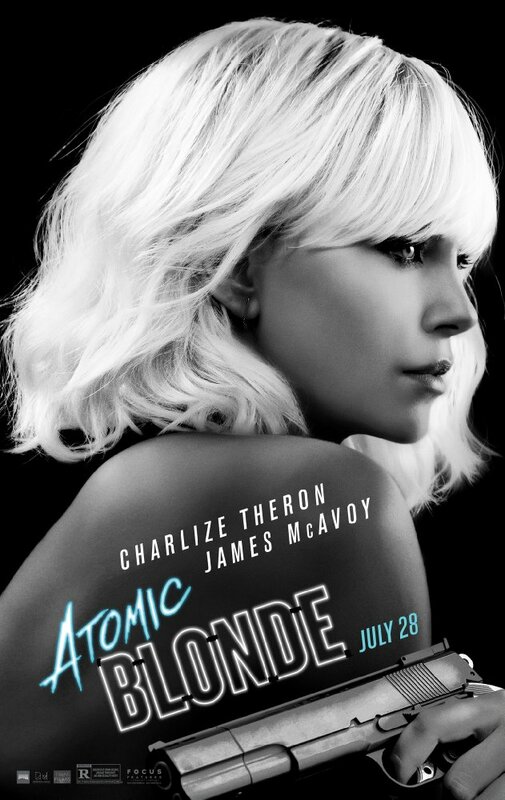 And now Atomic Blonde has given them their own action hero. Together, they are an announcement that women have arrived. Charlize Theron doesn’t kid around. Her action figure, Lorraine Broughton, uses every part of her body to kill enemies and when that’s not quite enough she uses whatever happens to be at hand. In grand collusion with director David Leitch, she levels the field. Theron has trained herself to such a state of fitness and strength that the movie becomes a flaming announcement that women in movies can now say, “Don’t mess with me!” They no longer have to express rage just by being mean. The only problem here is that the action is so overwhelming it’s hard to track the plot. But does that matter? No. It is 1989. Lorraine Broughton is an MI6 agent with a new assignment: head for Berlin and recover a list of secrets hidden in a wrist watch that has been stolen. The plot, along with its various alliances, is secondary to the wallop of the sight of Lorraine dispatching every man who tries to kill her. The bulk of the film unfolds in absolutely brutal physical violence. What is it then that lifts it to high style? It’s Lorraine who we first see bruised and battered before learning why. All during the why of it, we have the abiding pleasure of watching her stride in perfect stern grace through the city in a different outfit for every scene. Though brutalized by fists and weapons, short minutes later she is striding across Berlin in clothes of superb simplicity – no adornments. Almost always in stark black and white, then suddenly a bright red coat – all covering perfect posture atop bright red heels that become, when required , weapons. She is looking ahead as if she weren’t in full time danger. And then in moments she will be plummeting down a staircase, hit from behind by an enemy. In two terrific symbolic performances this year, Wonder Woman’s Gal Gadot gave us a fighter for moral rectitude and Charlize Theron shows us a battler against all odds. In grand exaggeration, they have handed women the recognition they want as they fight to transcend the supporting role that has been their lot for centuries. Comic book symbols? You bet. Earned, deserved, and delivered in style. This review was posted on August 4, 2017, in Action/Adventure, Mystery/Suspense, Thriller. Bookmark the permalink.